There are many styles of silver bracelets, so it’s hard to pick one! From the squeaky silver bracelets to the antique charm bracelets to the silver cuffs, everyone has their own style. No matter what style of bracelet you are going to wear, here are some general tips to help you make the most of your bracelet. In general, bracelets and any other type of jewelry look great. Depending on the shape you want, you can use it as a statement piece, avoid wearing other jewels, or put it together with other bracelets and rings to make it look more gorgeous. If you are going to wear a silver cuff, keep the other jewels smooth and simple. However, silver bracelets can (and usually should) be worn with several other bracelets and jewels to create an interesting mix and match. Choose the right clothes to make your bracelet sparkle. Three-quarters or less of the sleeves with the bracelets look great. In fact, if you have a shirt with a short sleeve and a bracelet, it is a good way to fill this gap. In general, silver will look better with cooler or brighter colors. Combine your silver bracelet with a blue top to create a monochrome effect or add some highlights to the all-black suit. If you are wearing a popular neon color, wearing a silver bracelet can add some energy. 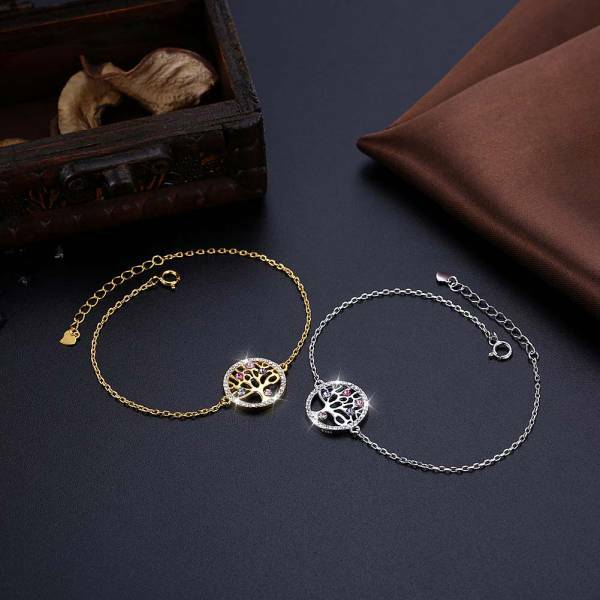 How you design your bracelet depends on its overall feel – a sculptural silver cuff that matches well with the modern minimalist look, while a stack of bracelets has a clear bohemian style that can be worn with long skirts and shirts. Match. Don’t be afraid to mix and match, but have an editorial eye and make sure you don’t exaggerate. Hats, scarves and other accessories with silver bracelets look great. However, there are a few points to note. When you wear silver jewelry, avoid the bag with gold ornaments – no matter what you do, it doesn’t look like it. If you are wearing a silver glamorous bracelet, you should reconsider the scarf. Charms will tear your knit or loose clothing, and if you are not careful, you will even leave a hole in the silk. The traditional wisdom is to wear a color of jewelry, for example, either silver or gold. However, mixed metals have been a trend in recent years. The best way to wear gold and silver jewelry is to find a piece of jewelry that combines both. In this way, it seems to be intentional, not sloppy. Otherwise, match your silver bracelet with a full silver necklace, earrings and ring. If your wedding ring is golden, pay special attention to this. This does not mean that you must swear not to buy silver, but you need to make sure it looks like a plan. Especially the bracelets, the sky’s the limit! You don’t need to worry about your hairstyle and neckline like wearing a necklace, so you can boldly try to wear the new style of your silver bracelet.